Mirror Lake Library celebrates its 100th Anniversary! Mirror Lake, located became an early reservoir for the small settlement in the late 1800s. 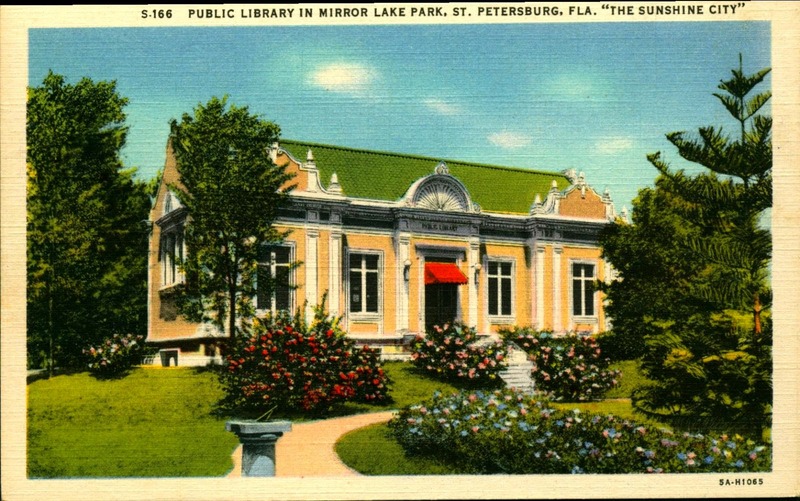 Author, James Schnur has more than 100 images to share that take us back through the last century as the area around Mirror Lake transformed lower Pinellas as the first cultural and educational complex of the Sunshine City, home to the first schools of St. Petersburg and the Carnegie Library that celebrates its centennial in 2015. Labels: Carnegie Library, history, James Schnurr, Lake Mirror Library, Nelson Poynter Memorial Library, St. Petersburg, St. Petersburg Through Time.